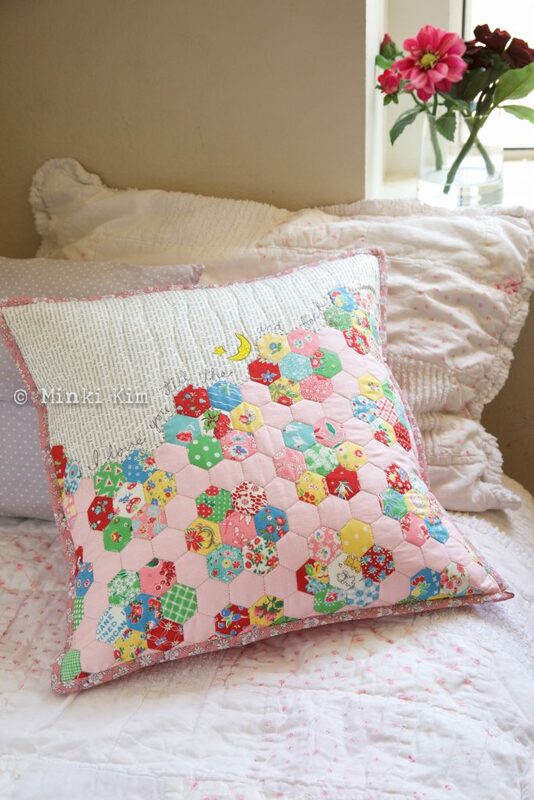 I have always wanted to have one of those pretty hexie pillows or colorful crochet blankets. Sometimes you desperately want something but aren’t sure you can tackle the project. 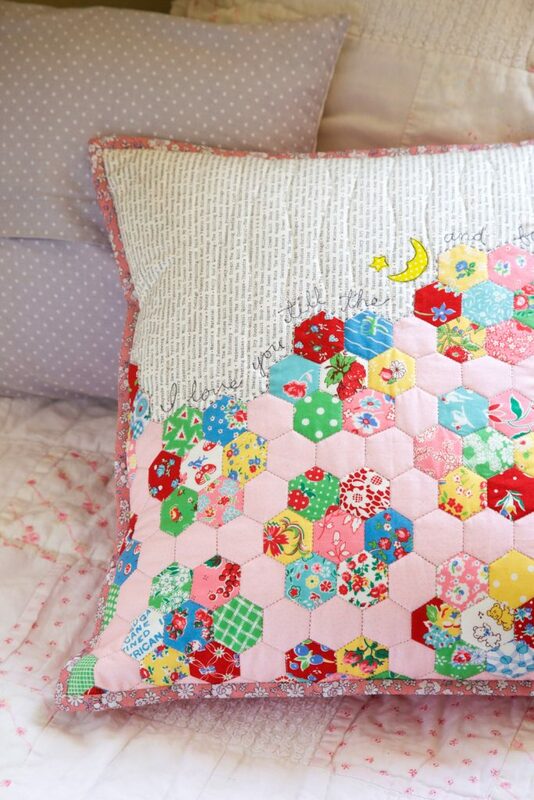 in making my dream hexie pillow in one day. I hope you like it. 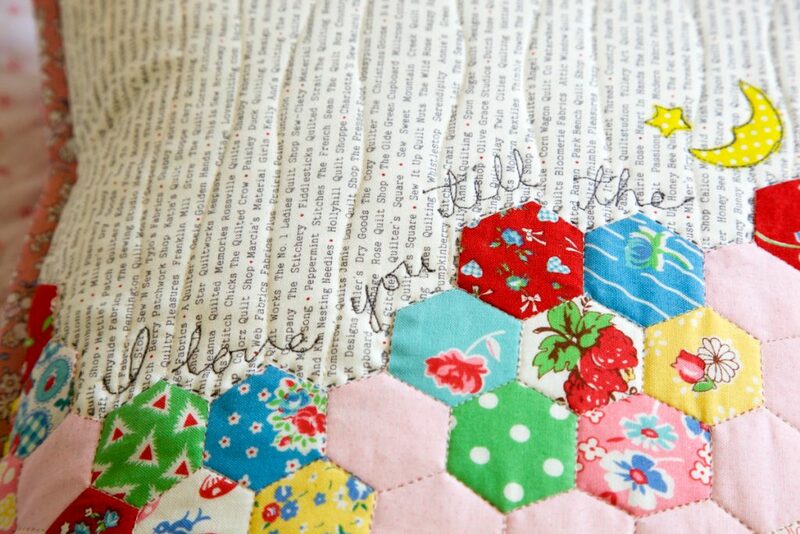 Check out the instructions with step photos here at WeAllSew blog from BERNINA. 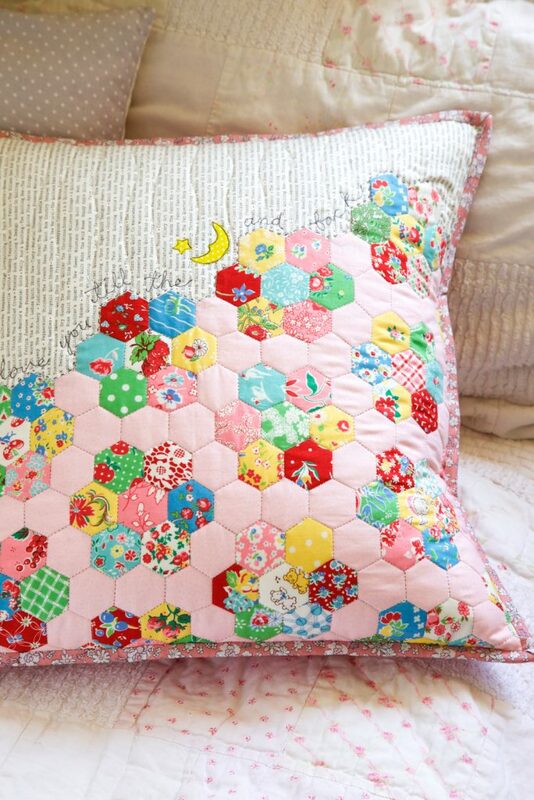 fabric: Hexagon print by Yuwa from WestWoodAcres fabric. Thread: Aurifil 28wt, 80wt, 50wt.